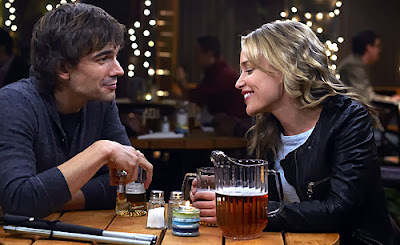 COVERT AFFAIRS: There's no arguing with the fact that Covert Affairs is an action show; mix together high-speed car chases, foreign locales, and a couple dozen pairs of killer heels, and it's pretty easy to predict that you'll always be on the edge of your seat. But, the show's slow-burning love affair between Annie Walker and Auggie Anderson has quietly become just as fascinating to watch as the spy game that surrounds it. By using Auggie's blindness to create a unique kind of dramatic irony, the will-they-or-won't-they of this relationship ends up playing out differently than any other on television. First, let's backtrack a little. Just so we're all on the same page, let's talk a bit more about what exactly the term "dramatic irony" means. Dramatic irony refers to the disconnect and resulting tension that occurs when the audience knows more about a particular situation than one or more of the characters does. The results can be tragic, like in Season 4's "No. 13 Baby" when Helen claims that she is Jessica Matthews and Henry Wilcox shoots her on the spot. We, as the audience, know it's really Annie who has been tailing Henry as Jessica for the past three months, but we also know that Henry doesn't know that. "You're such a horrible liar! You'd make like the worst spy ever." In this episode, we've just watched Annie get shot at, prostitute her way into a crime scene, Listerine her way into a morgue, and then proceed to track down and capture a Russian terrorist. Danielle, on the other hand, hasn't seen any of that. This is dramatic irony, even though it's not, you know, dramatic. Lots of television shows use this technique to keep the audience on their toes. In fact, every show uses it to some extent. But, not every show plays with it quite the way Covert Affairs does with Annie and Auggie's relationship. Why? Because not every show can get away with creating a disconnect between what's being said and what the audience is seeing on screen while the characters in question are literally touching each other. It works because Auggie is blind. Now, there's no intention of downplaying this here, because Auggie's blindness informs his character in amazing ways and does great things for bringing characters with disabilities to the forefront. But, for our purposes in discussing dramatic irony in Covert Affairs, it's also a pretty brilliant plot device. The first time we really see the full extent to which Covert Affairs pushes the dramatic irony between Annie and Auggie is in the Season 2 finale, "Letter Never Sent." She's not smiling, Auggie. SHE'S NOT SMILING. 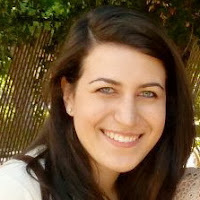 Here, Annie is finally ready to admit that she has feelings for Auggie. But, at the same time, Auggie has decided that he's going to give it a real shot with Parker. The audience can see how Annie is visibly distraught when he tells her this. But, because she doesn't say anything to give herself away, and we know that Auggie can't see her face, a tension results that probably makes you want to either cry or throw something at your television. The same kind of tension occurs between Annie and Auggie throughout Episode 3x02, "Sound and Vision." When Auggie confides in Annie about his plans to propose to Parker, we know that Annie has feelings for Auggie just by the way she's looking at him. In fact, we know that Annie's been hiding this from him for a while now. But Auggie doesn't, because every exhibition we've seen of these feelings has been non-verbal. This creates a visual incongruity unique to their relationship, made all the more subtle because the viewers (as opposed to any of the other characters on the show) are the only ones who bear witness to Annie's one-sided and silent pining. 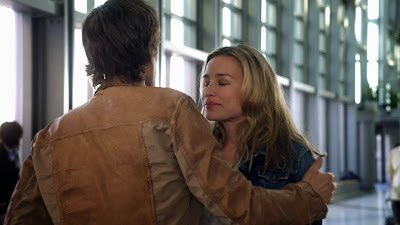 However, just because the will-they-or-won't-they question was resolved with a bang in the Season 4 premiere does not mean that Covert Affairs has given up on this technique forever. In fact, in Season 4, it's alive and well on a whole new level. Previously, dramatic irony was used to mask Annie's feelings for Auggie, keeping Auggie in the dark while the audience felt the tension rise. But, now that both parties have admitted their love for each other, that hidden knowledge is off the table. Instead, once Annie goes off the grid and becomes Jessica Matthews, it's all about presence. In this scene from the Season 4 episode "No. 13 Baby," we get dramatic irony simply because we, as the audience, can see that Annie is right next to Auggie, all the while knowing that Auggie cannot. This creates a metaphorical distance within a physical closeness that is only made possible by Auggie's blindness. In a show that's all about intel, it's no surprise that dramatic irony plays such a prominent role in Covert Affairs. Television is, by nature, a visual medium, and using Auggie's blindness to create dissonance between what the audience hears and what they see makes the relationship between Annie and Auggie something uniquely dynamic. We can't turn a blind eye to that.